SAT scores form an important part of your application to a foreign university. Along with your GPA, essays and letter of recommendations; SAT portrays your readiness for university education. 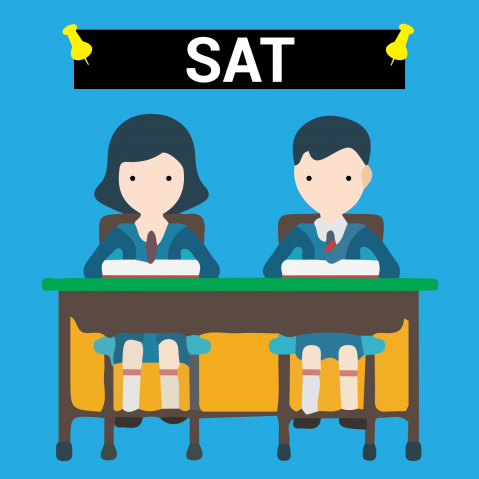 Since, one has to appear for SAT right after they graduate from high school, the test format has been designed in such a way that it tests the skills that one learns in school. Critical reading, writing and mathematics are three modules in which students are tested. Sentence completion exercises test your vocabulary and logic. The question is in the form of a sentence with either one or two blank. You have to figure out the correct word to fill in those blanks. As you read the sentence, try to predict the word that will most suitably fill in the blank and then skim the answer choices to find the word that comes nearest to one you’ve predicted. In reading comprehension exercises, you’ll have one short and one long passage. Skim the passage quickly without getting into the details. Attempt questions that straight away take you to the answer located in some sentence of the passage. Keep difficult questions that require you to get into the details of the passage for later. Multiple choice writing questions are of three types: first that asks you to replace a part of a sentence which is incorrect with most apt choice, second requires you to figure out what part of the sentence has errors and third tests how well can you reorganize and improve a distorted paragraph. In all these tasks, try to express your idea in clear and simple manner. Overly complicated choices are, more often than not, incorrect. Essay writing exercise will ask you to state your viewpoint on a topic. Prompts will be given to help you put your ideas in a flow. An essay is marked holistically on how well and clear you’ve been able to portray your arguments. It might not be grammatically absolutely correct but it must be focussed. In Mathematics section, you’ll be given multiple choice and grid in questions. Reference information such as facts and formulas will be given but you have to figure out how to use them. Use of calculators is also allowed. In grid questions, your answer cannot be a negative number or a mixed number. These are some of the techniques to help you get through your test. Contact SIEC and ACCT to help you with SAT preparation through state of the art teaching set ups, innovative methodologies and extensive study material prepared by experts in the field.